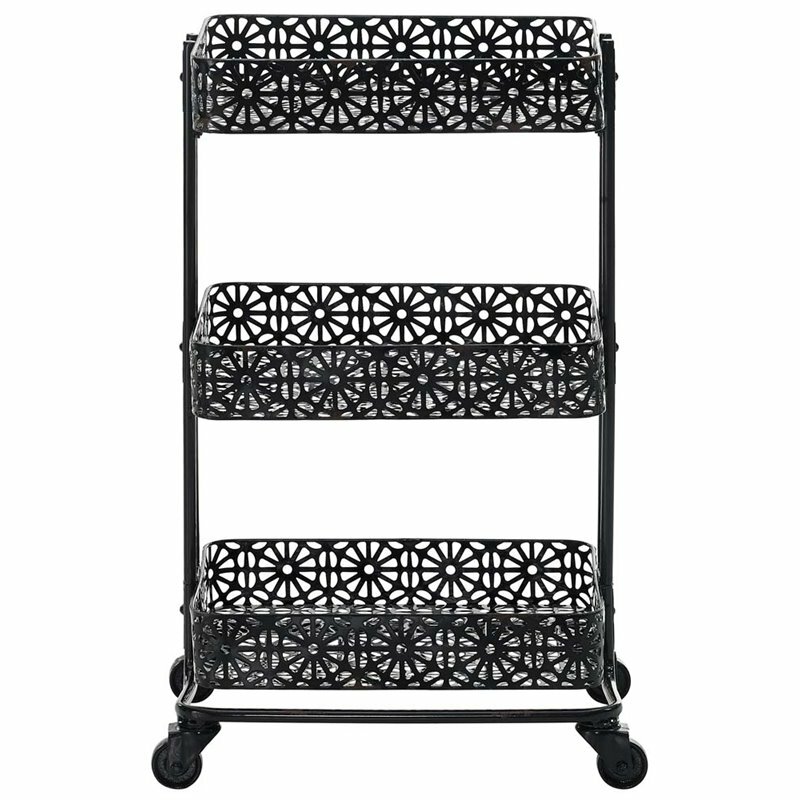 The Black Three Tier Cart is a fun and versatile addition to a bedroom, kitchen, bathroom, office or craft area. 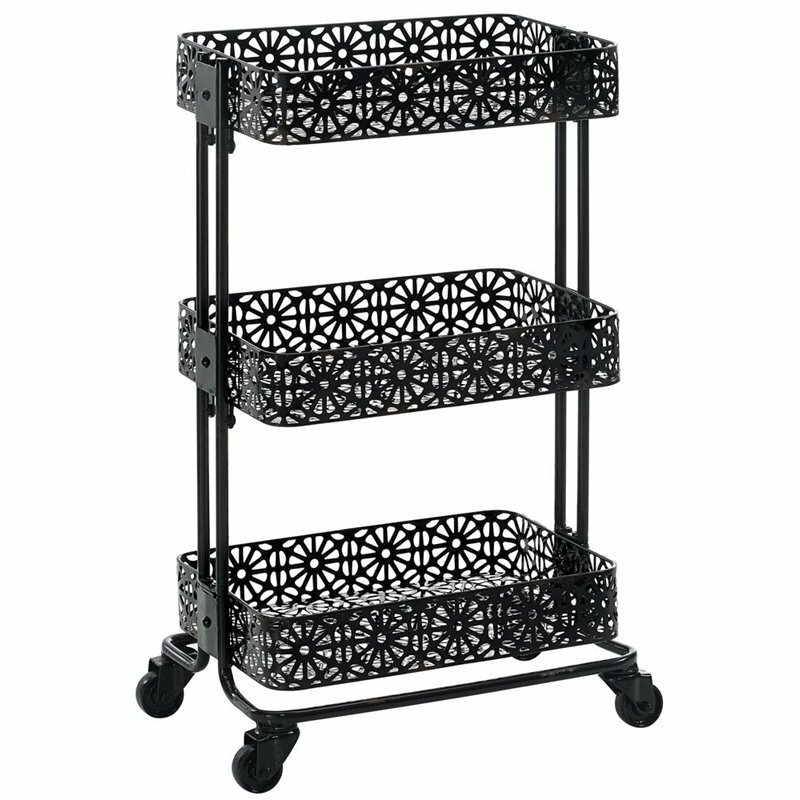 Three shelves provide ample space for storing a variety of items, while wheels make for easy mobility. 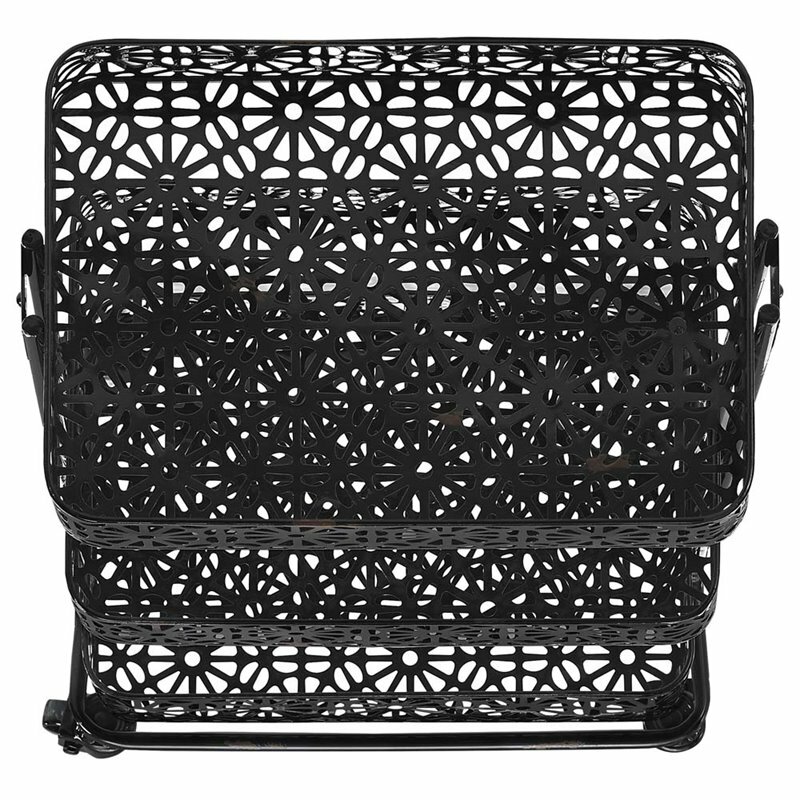 The distressed floral design adds charm and character to the metal frame. Durable and sturdy. 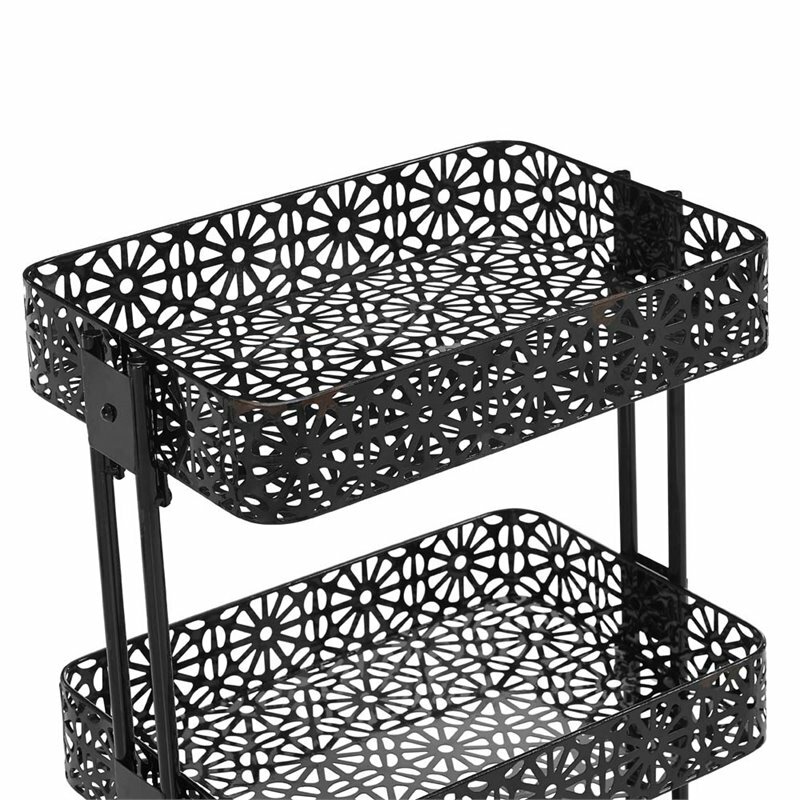 Shelf Dimensions: 16.5" x 11.25" x 3"
Space Between Each Shelf: 8.25"
This consumer rating is based on 1 reviews of all Pemberly Row products. 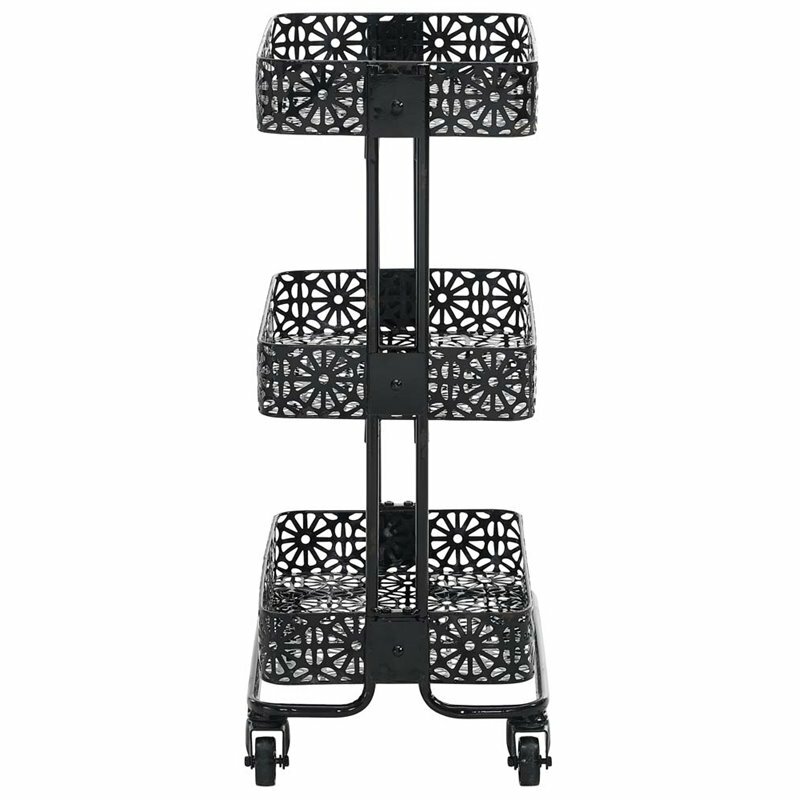 The Pemberly Row 3 Tier Metal Serving Cart in Distressed Glossy Black has not yet been reviewed, be the first!